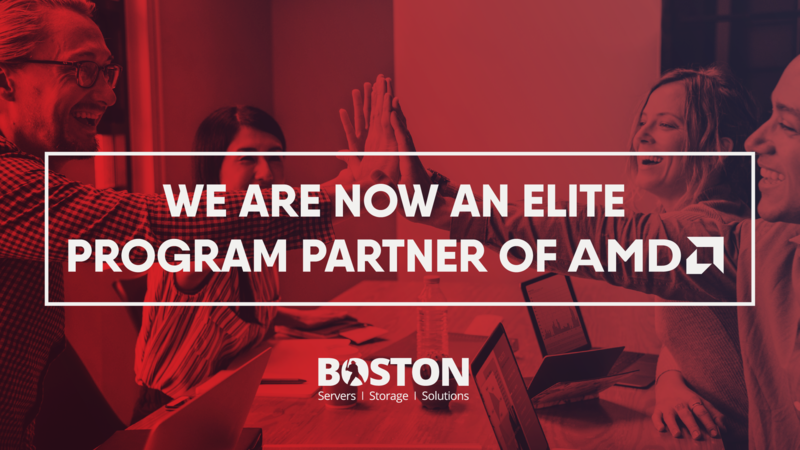 Boston was recently recognised by AMD as Elite Partners through consistent delivery of cutting-edge embedded solutions. This certificate is the uppermost level of collaboration with both product roadmaps and business strategies aligned in several verticals. Qualifying as an Elite Partner means Boston has access to up to date technical knowledge and content tailored to helping its customers to grow and prosper with AMD's broad, industry-leading technology portfolio. With the widest range of AMD EPYC™ ready servers available today, head over to our product page for further insight on what we have available.